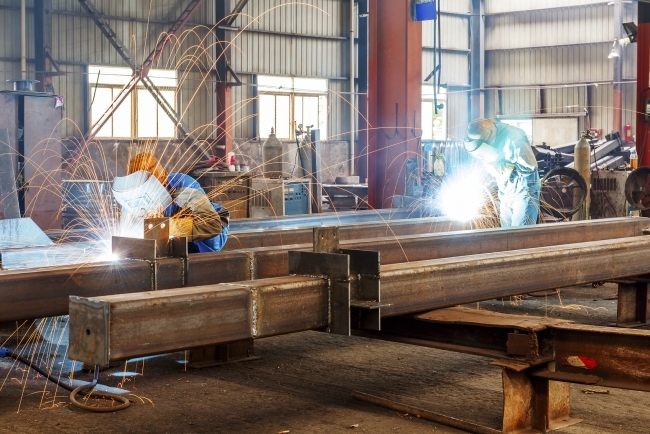 Despite a high degree of volatility from month to month and process to process, the overall value of the UK contract manufacturing market held steady in the third quarter of 2018. 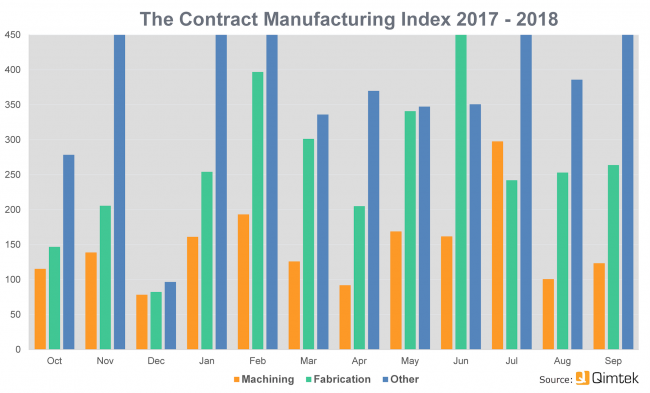 The Contract Manufacturing Index (CMI) for the quarter was 223, just 1.3% down on the previous quarter and 3.7% up on the equivalent period in 2017. Since the Brexit vote in 2016 the CMI has risen by 18.6%. Behind the headline figure there were major movements in the make-up of the market. Fabrication, which had been on the ascendant and represented 56% of the market in the previous quarter, had dropped by 27% and now represents just 43% of the market. Machining on the other hand, which had dropped to 35% of the total, rose by 23.4% and currently represents 44% of the market. This appeared to signal a reversal of the trend in the previous quarter of companies bringing more machining back in-house. Other areas, including contract electronics manufacturing, toolmaking and moulding, were up by 46% and now represent 13% of the total. There was significant variation from month to month. July saw a high level of demand, which dropped off in August and started to recover in September. Commenting on the figures, Qimtek owner Karl Wigart said: “These are interesting figures that show the overall market remaining healthy but vulnerable to shifts in demand and strategy. In general, the latest figures have followed a similar pattern to the CIPS Markit purchasing index.